Receive 10% Off designer’s collection in store during the event. 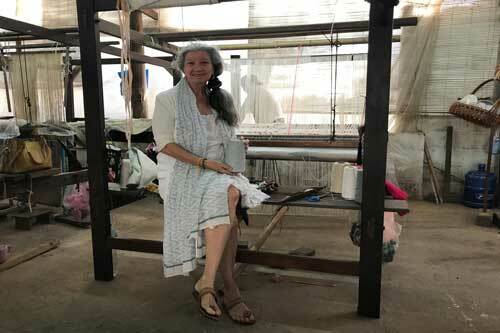 Founder of Lao Textiles, Carol Cassidy discusses her dedication to revitalizing the indigenous Laos textile industry by creating magnificent silk weavings that preserve traditional techniques while incorporating modern sensibilities. Shop and expansive array of her signature brocades, jacquard weaves, and ikats. Her book, Weaving Tradition, will be available for signing.